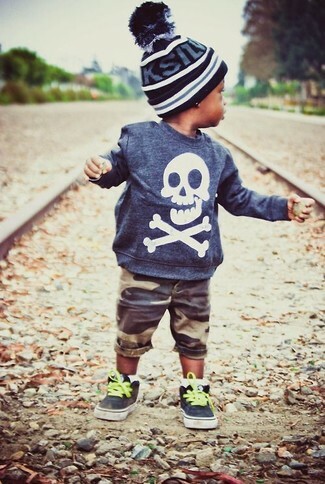 Opt for your boy's comfort with this combo of a Cherokee toddler boys pullover navy voyage and blue jeans. Brown boots are a savvy choice to complement this getup. 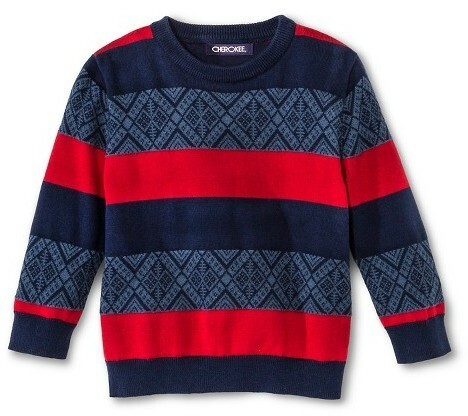 Suggest that your darling pair a Cherokee toddler boys pullover navy voyage from Target with brown jeans for a fun day in the park. Dark brown boots are a great choice to round off this look. 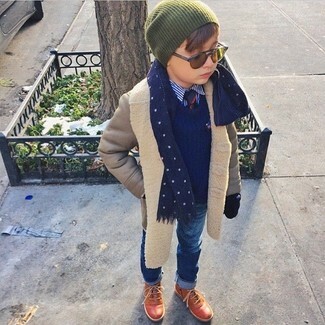 Suggest that your child go for a navy sweater and beige trousers for a trendy and easy going look. Tan boots are a smart choice to finish off this outfit. 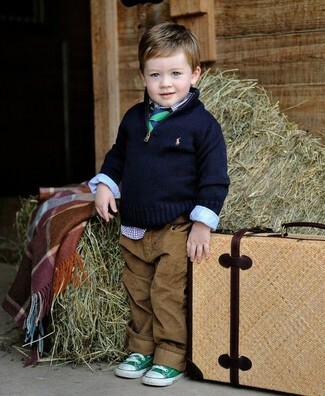 Suggest that your child reach for a Cherokee toddler boys pullover navy voyage and olive trousers for a dapper casual get-up. Green sneakers are a nice choice to complete this ensemble. 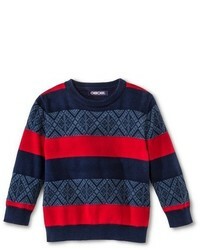 Suggest that your little guy pair a Cherokee toddler boys pullover navy voyage from Target with grey jeans for a fun day out at the playground. Tan boots are a great choice to finish off this style. 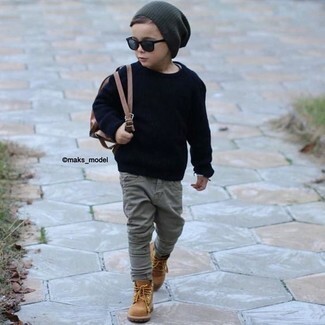 Suggest that your boy pair a Cherokee toddler boys pullover navy voyage with brown shorts for a laid-back yet fashion-forward outfit. Round off this getup with black sneakers. Suggest that your munchkin go for a Cherokee toddler boys pullover navy voyage and navy horizontal striped sweatpants for a comfy outfit. 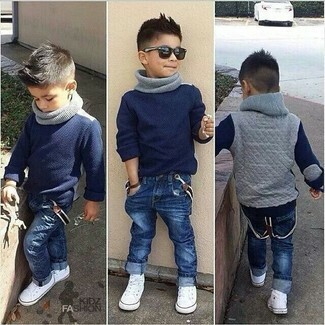 People will swoon over your son if he wears this combo of a Cherokee toddler boys pullover navy voyage from Target and navy jeans. White sneakers are a nice choice to round off this look.